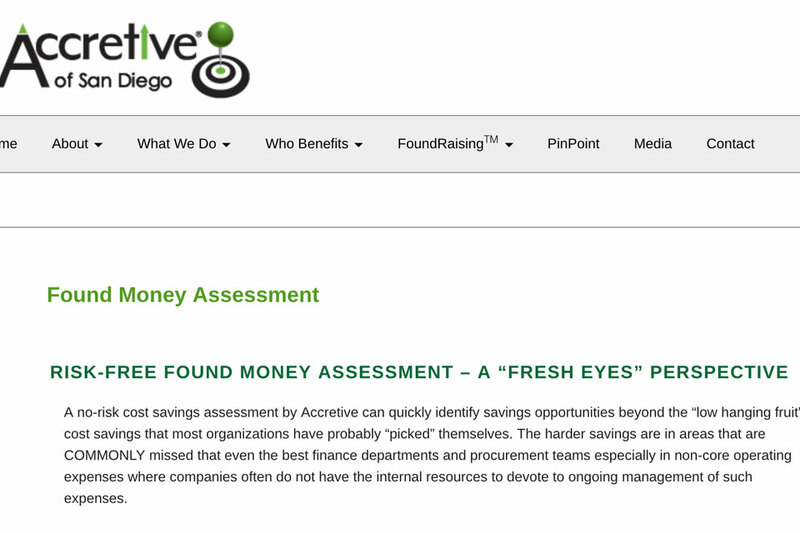 Accretive “Resultants” perform complementary Assessments for organizations to find money and help improve their bottom line. We call ourselves “Resultants” because if we don’t find money for our clients, we don’t get paid. Once we are hired, together with the management, we identify a few areas to target look areas to reduce expenses (not jobs or compensation). 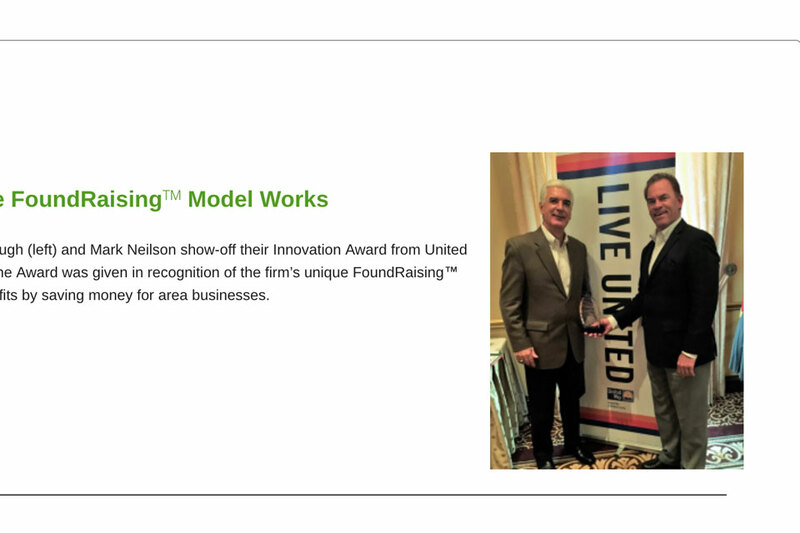 Our goal is to work with the client’s CFO and Controller to expand their capabilities into expense areas that are hard to attend to amidst the strenuous responsibilities of their jobs. 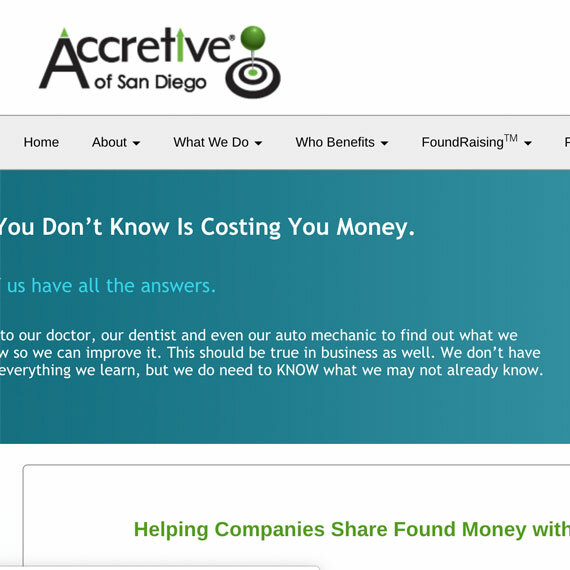 Accretive helps CFOs with tasks that they no longer have time to do.